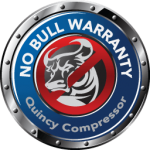 Standard One-Year Warranty- Every Quincy Compressor QT product comes warranted for a full year, standard from the factory. 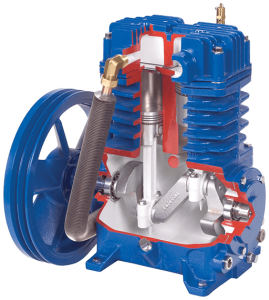 NO BULL Extended Warranty Option– Buy the compressor and the associated extended warranty kit at the same time and double the package warranty to two years and the pump warranty to three years. The extended warranty kit includes all that you’ll need for your compressor’s regular maintenance during the first three years. Save 10-15% more than buying items individually AND triple your warranty when you purchase, register and use this kit! Quincy’s extended warranty offers this industry-leading program for its QT-54, QP and QT PRO/MAX models. Feel free to contact us to learn more about how a QT air compressor can increase your operating efficiency — and save you money in the long run. 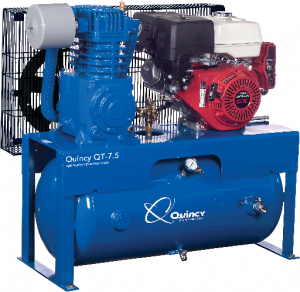 You can also get in touch with the authorized Quincy Compressor distributor in your local area. Make sure your QT runs well for a lifetime with proper reciprocating air compressor oil and maintenance.